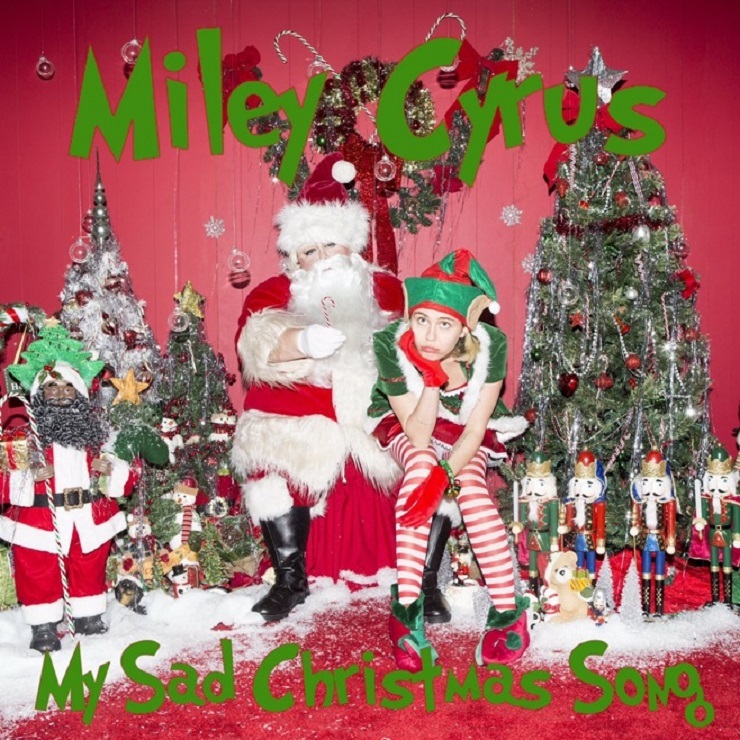 Miley Cyrus "My Sad Christmas Song"
Miley Cyrus has the holiday blues, but she's trying to get into the spirit of the season with a brand new song. You can hear all about her Christmas connundrum via a stream of the newly dropped "My Sad Christmas Song." Following a few forlorn "fa la la la las" and some softly jangled guitar strums, Cyrus tunefully explains the reasons for the piece, questioning why she's all alone, lighting up a bong by the Christmas tree. While toasted, she also ruminates on family drama and the hotness of Jolly Ol' St. Nick, admitting of the latter: "I always though Santa was kind of cute/ Something about his beard, big belly and boots." You can let Cyrus keep you company this Christmas by giving her sad song, which was recorded with the Flaming Lips, a listen down below.